This is a cute little story about finding bugs. It’s a quick read, and the kids liked the rhymes. It’s a nice introduction to the varied world of bugs. Then, I brought out Miss Edna (as the kids at my first branch named her) my Old Lady puppet. I bought her on Amazon, and I’ve used her many times as an interactive addition to story time. With all the Old Lady books out there, she’s been my best investment because I can use her year-round. This was actually the first time I used her with the original There Was An Old Lady Who Swallowed a Fly story. It went over very well, as Edna always does. The kids love feeding her and getting involved in the story. Bumblebee, bumblebee, landing on my nose. Bumblebee, bumblebee, now he’s on my toes. On my arms, on my legs, on my elbows. Bumblebee, bumblebee he lands and then he goes. 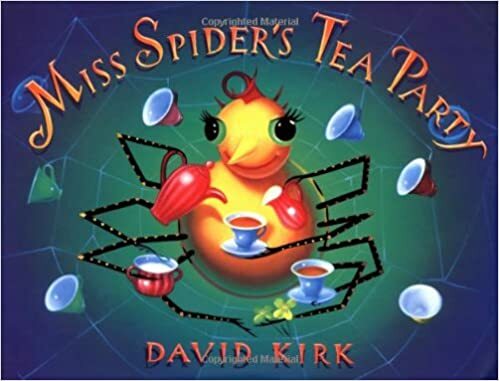 Our next book was Miss Spider’s Tea Party by David Kirk. 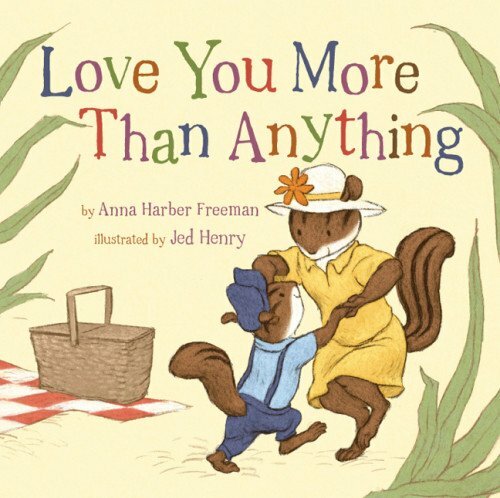 This is a very cute book about not judging someone prematurely. It’s a great rhyming and counting book with some very nice illustrations that kept the kids engaged. They eventually felt sorry for Miss Spider, despite her “ickyness” that one child observed. The bees in the flowers go buzz buzz buzz…. The caterpillar in the field goes creep creep creep…. 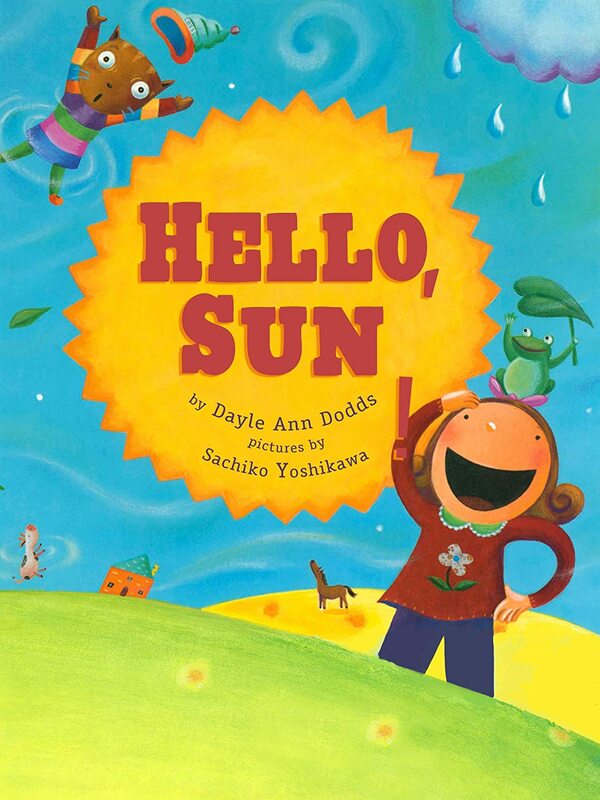 This is a very cute book that you can get active with. The kids loved making the faces and doing all the other instructions in the book. I love it when I find books that get them moving and engaged. An action song was next, so I went with one of my favorites–“Can You Move With Me.” I used this in my dance story time, and it was very popular. Since it mentions how various bugs and other creepy crawlies move, it fit well with the theme. It’s from Music Therapy Tunes. Can you wiggle like a worm? Like a beetle that is round? Can you flip? Can you flop? Can you give a little hop? Can you slither like a snake? Can you give a little shake? Who is buzzing round a tree? Since we were standing and having fun, I added “The Ants Go Marching” as a fun action song to keep things moving. The ants go marching one by one, hurrah! Hurrah! And they all go marching down, to the ground, to get out of the rain. 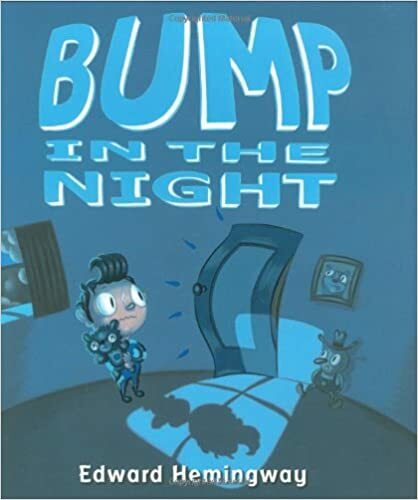 This is a great book about bullying and catching more flies with honey than with vinegar. The kids thought it was entertaining and funny when the little ladybug challenged all the larger animals. Flying together – what a delight! For our craft this week, we made bug “fossils” out of toy plastic bugs and air dry clay. 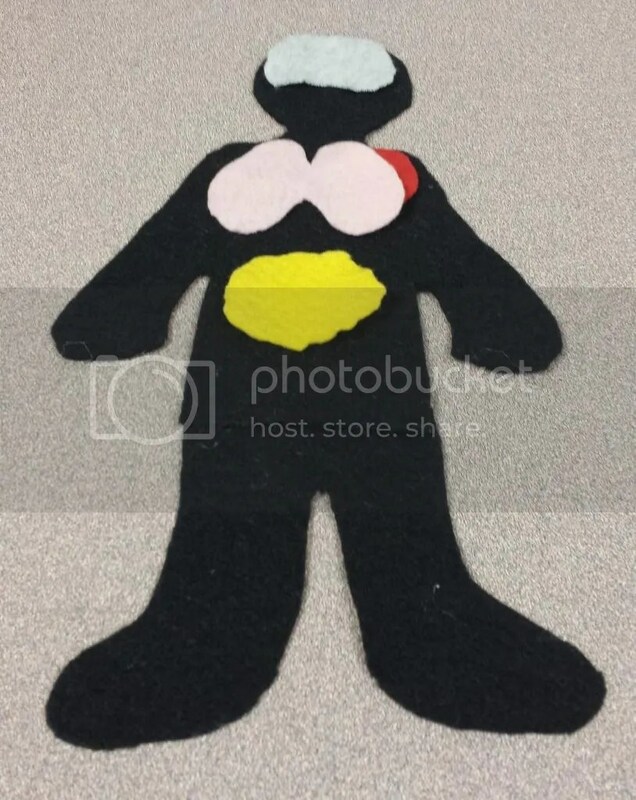 I also had a Grouchy Ladybug craft out for that week that I’d found on Buggy and Buddy. Unfortunately, this is my last week for story time at my current library. I am moving and hoping to find a new position within the library system in my new hometown, but that might be a while. So, I’ll post my plans from this week and slowly put up the plans I’m leaving for my temporary replacement to do for the rest of the semester as things slow down and I get settled into my new home. 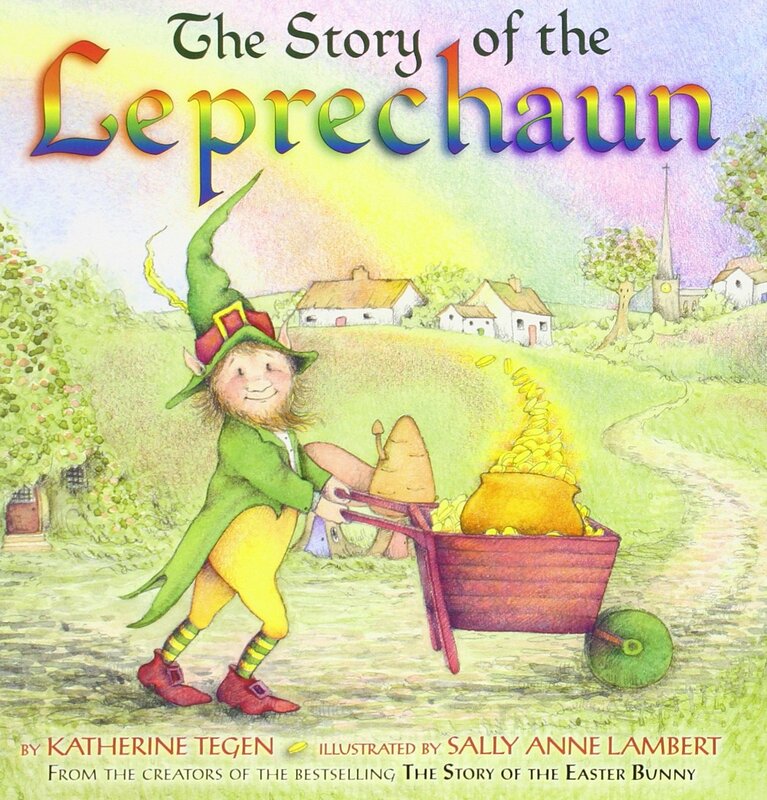 This was a pretty cute book that explained what leprechauns are and had a cute twist at the end. 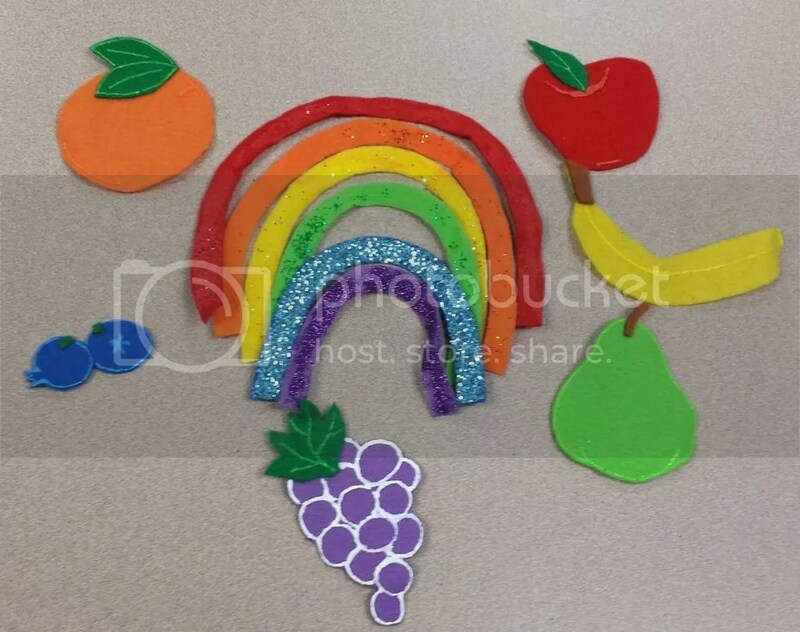 It also introduced our rainbow theme. which led us to do the “Rainbow Dancers” action rhyme from last week. We also did the “Five Little Leprechauns Digging For Some Gold” action rhyme from The Holiday Zone. 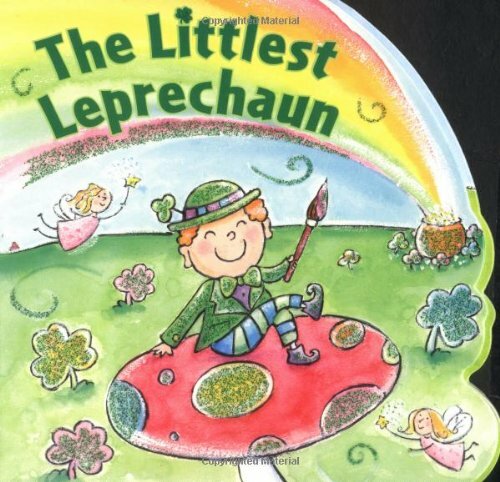 This is a very short board book that talks about a leprechaun who is a bit…different. I included it, mainly, for my younger class of 2 year olds. Most of the St. Patrick’s Day books I found were on the longer side, so I broke that up with this book. 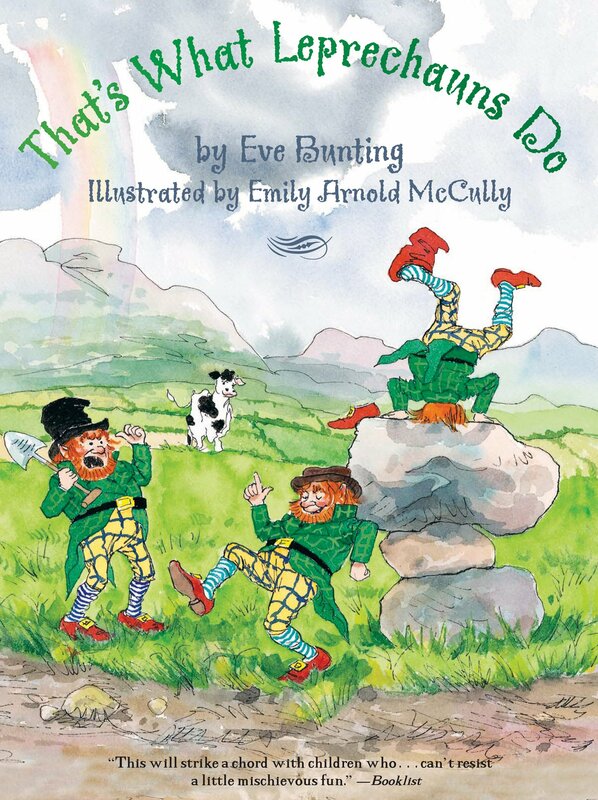 I also did That’s What Leprechauns Do by Eve Bunting for my older kids. Then, we sang “I’m a Little Leprechaun” also from Holiday Zone. “Dance, Dance, Leprechaun, Dance” song from Jen In the Library. Do a dance for me. “Leprechaun, Where’s Your Gold” flannel rhyme from Jen In the Library. “Leprechaun knows he has some gold, but he has so many different pots, he doesn’t know where it is! Let’s see if we can help him find it! Leprechaun, leprechaun, tiny and bold. Where, oh where is your gold? This was a cute introduction to the four-leaf clover (which we’d return to for our walk-in activity. Our last story was “The Good/Bad St. Patrick’s Day” from A Storytime Year. This was an interactive story that you can act out with the kids. At the end of each section, you ask them if what just happened was good or bad, and each question is misleading. It’s really a cute story and ends with handing out a pot of gold to the kids. You could get chocolate coins or just butterscotch candy. “One beautiful St. Patrick’s Day, I decided to take a walk. But after I’d walked for a little while, it started raining, and I didn’t have my umbrella. Is that bad? No, that’s good because the flowers needed the rain and there was a cave where I could get out of the rain. Is that good? No, that’s bad because when I stepped into the cave, I fell down, down, down, down, down, down a dark tunnel. Is that bad? No, that’s good because I landed on a soft, fluffy, bed. Is that good? No, that’s bad because a little man stood at the food of the bed. He stared and glared and scowled and growled at me. Is that bad? No, that’s good because the little man was a leprechaun. Perhaps you know that leprechauns have pots of gold that they have to share with the person who catches them. Is that good? No, that’s bad because I caught the leprechaun, but he wouldn’t tell me where his pot of gold was. Is that bad? No, that’s good because I decided to go on a treasure hunt to find his gold. Is that good? No, that’s bad because I climbed up, up, up out of the tunnel. I looked high and low. I looked here and there, but I couldn’t find the gold anywhere. Is that bad? No, that’s good because while I was looking, the rain stopped and the sun came out and there was a beautiful rainbow. now perhaps you know that leprechauns often hide their gold at the end of a rainbow. Is that good? No, that’s bad because the leprechaun and I had to walk and walk and walk and walk and walk and walk and walk and walk and walk until we came to the end of the rainbow where I finally found this pot of gold (bring out pot) which I’m going to share with you. Is that good? 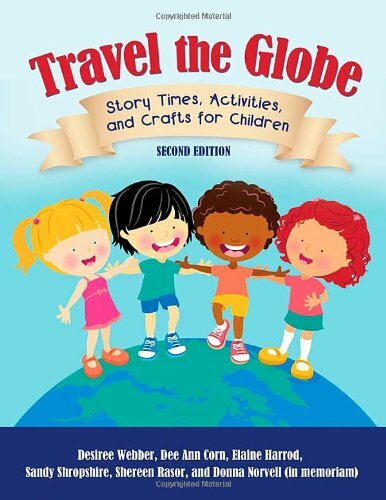 Then, for my older classes, we did the”Five Little Instruments” flannel from Travel the Globe: Story Times, Activities, and Crafts for Children by Desiree Webber. I just printed out pictures of the five instruments, laminated them, and put Velcro on the back to secure them to the board. Then, for walk-in, we did a shamrock hunt which was inspired by A Storytime Year. 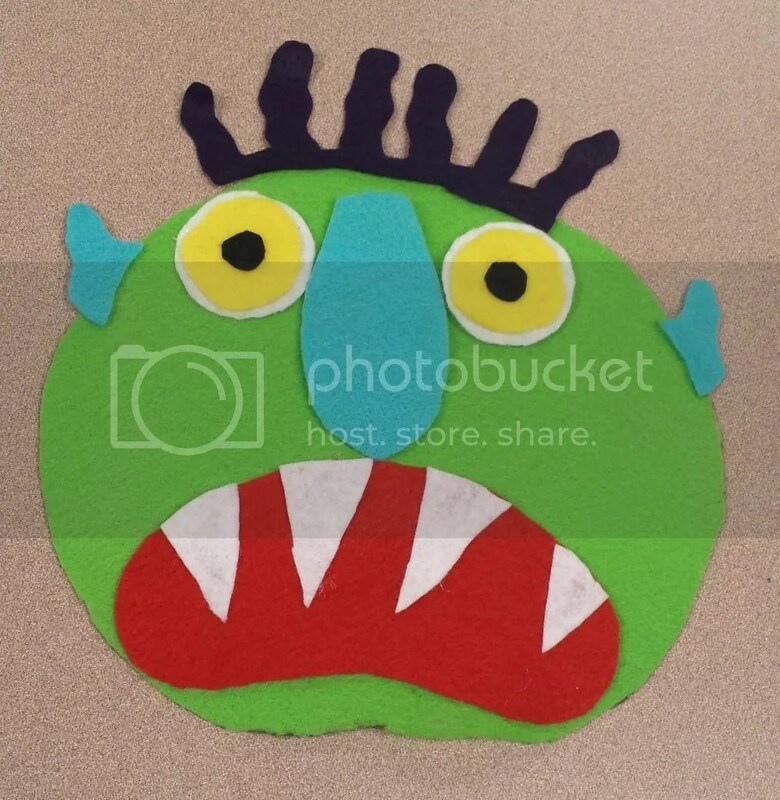 I copied the provided pictures of three and four-leaf shamrocks onto green paper, cut them out, and hid them around the children’s room for the kids to find after story time. Then, we did the shamrock passing game, also from A Storytime Year. I gave them one child a four-leaf clover and the rest three-leaf clovers. Then, I started playing some Irish music. They passed the clovers until the music stopped, and whoever had the four-leaf clover got a sticker. I did this until each of them got a sticker (since we only had about seven kids this week, it didn’t take long). While we had been doing this, my coworker had been prepping sponges with face paint. She just did a line of each of the colors of the rainbow on a sponge for each child. So, all I had to do when we were ready was swipe a sponge across each child’s cheek or hand so that they each got a beautiful rainbow! And that wraps up my last story time at this branch. I hope to see you all in the future! Then, I said I knew a song they all would know about the rain, and we did “The Itsy Bitsy Spider” fingerplay. This is a short book that just introduces some of the kinds of weather and how fast they can change. It discusses how to dress for the weather and what fun you can have outside. It’s sweet, and it rhymes, so it went over well. Then, we sang “Rain is Falling Down” action rhyme from Fingerplays and Action Rhymes. 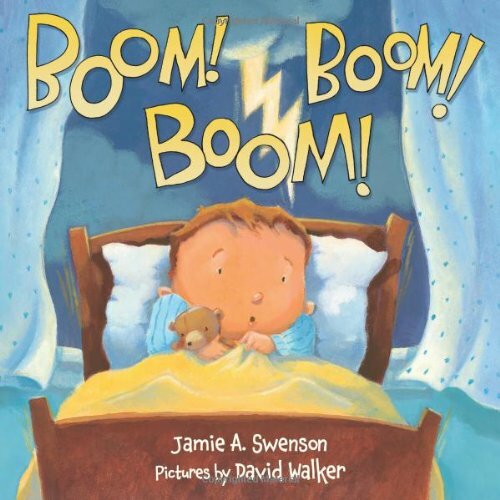 This is a cute, rhyming, book that talks about how thunderstorms can be scary. All of the boy’s pets eventually get scared and want to sleep in his bed to be safe. Things get a little crazy as you continue to count the animals! Then, we sang “If All the Raindrops” from Barney like we sang for our Food theme. Then, we did the “Magical Rainbow Stew” flannel that the youth facilitator before me made and left. “Take an apple, put it in a pot. Stir it, stir it, stir it a lot. Take it out, and what will it be? The prettiest red you ever did see! The kids loved this flannel! They kept trying to peek into the bowl to see how I did it. A few of my classes managed to figure it out after I finished because they looked into the bowl while I was giving out stickers, and they kept saying, “Oh, it’s just *pretend* magic!” It was so adorable! 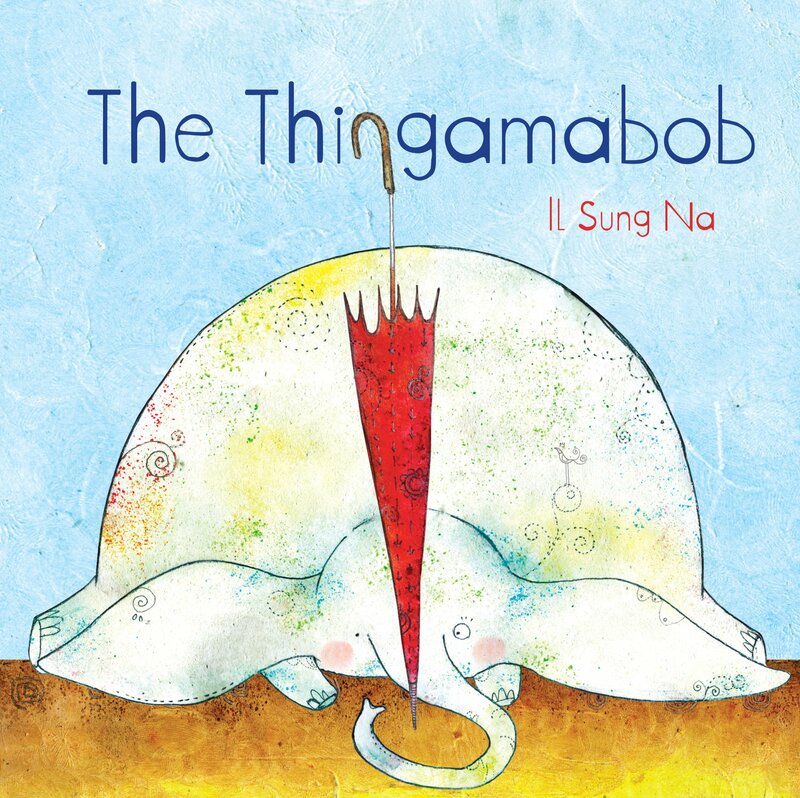 This is a silly book about an elephant who doesn’t know what an umbrella is. When he finds one, he asks all his friends and tries out a few things in an attempt to figure out what it is. Eventually, he figures it out when it starts raining. The kids loved it and kept calling out what the “thingamabob” was. Hold your scarves nice and steady. You’ll hear the colors of the rainbow. Listen for your time to go. Orange scarves up and down. Green scarves fly, fly, fly. Purple scarves touch your toes. Swirl your scarves up and down. Scarves swirl up and down. Our colorful dance is at an end. 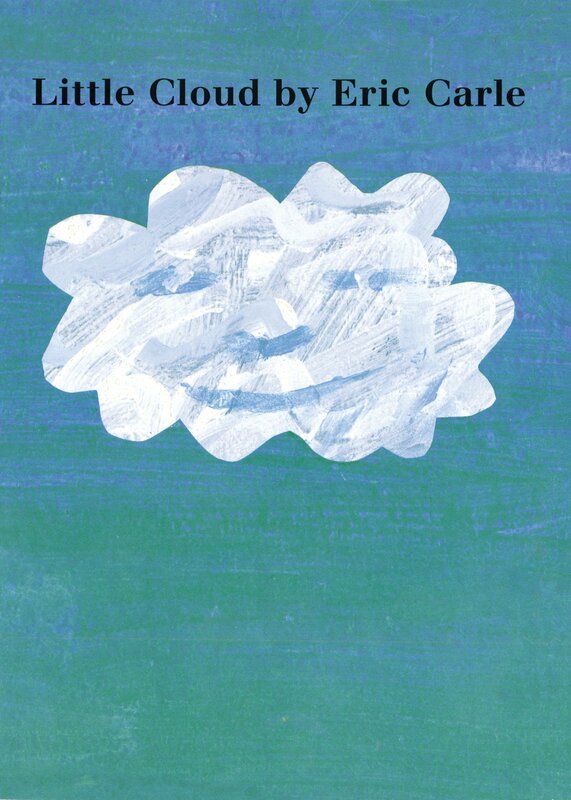 This was a great last book to wrap up weather and to get the kids involved by calling out the shapes that Little Cloud turns into. Then, we sang our “Goodbye, Goodbye” song, and that was the end. This was actually a STEM week for us. For walk-in, we talked about the science behind rain, and we did an experiment to see how it works. We just took some mason jars, filled them with water, squirted a glob of shaving cream on top to be our cloud and put some drops of food coloring on the “cloud” until it got heavy enough to rain in the jar. Then, we talked about the science behind other weather, rainbows, etc. Because of all this, we didn’t do a craft. We didn’t end up having time, but I had prepped a wind detector craft with a hanger, some string, a different kinds of paper (tissue paper for light breezes, printer paper for something a bit stronger, cardstock, and cardboard). Then, for my small story times, we did the “Who Stole the Cookies From the Cookie Jar” rhyme and substituted each child’s name. “Who stole the cookies from the cookie jar? ____ stole the cookies from the cookie jar. Then, we sang the “If All the Raindrops” song from Barney. Standing outside with my mouth open wide. Ah, ah, ah, ah, ah, ah, ah, ah, ah, ah! Oh, what a sun that would be! 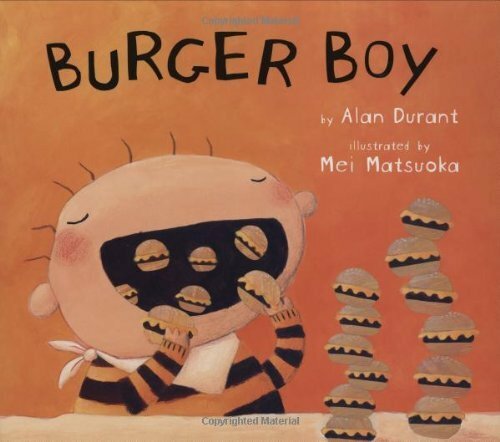 Then, we read our first book: Burger Boy by Alan Durant. 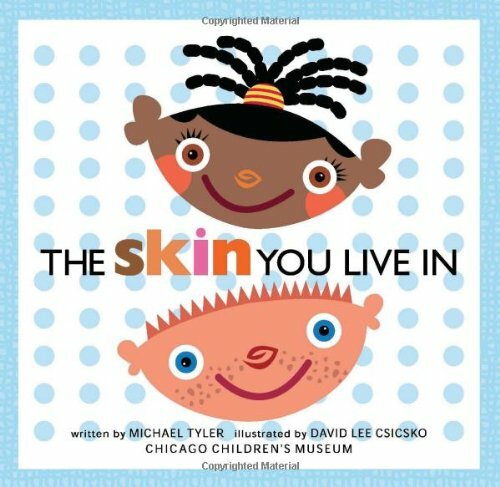 This is an adorable book about the phrase “You are what you eat.” The kids loved it when he turned into a walking burger and was chased around by dogs, angry cows, and other hungry kids. After that, we sang the “Peanut Butter and Jelly” song. You pick ’em, pick ’em, pick ’em. You crush ’em, crush ’em, crush ’em. You spread ’em, spread ’em, spread ’em. 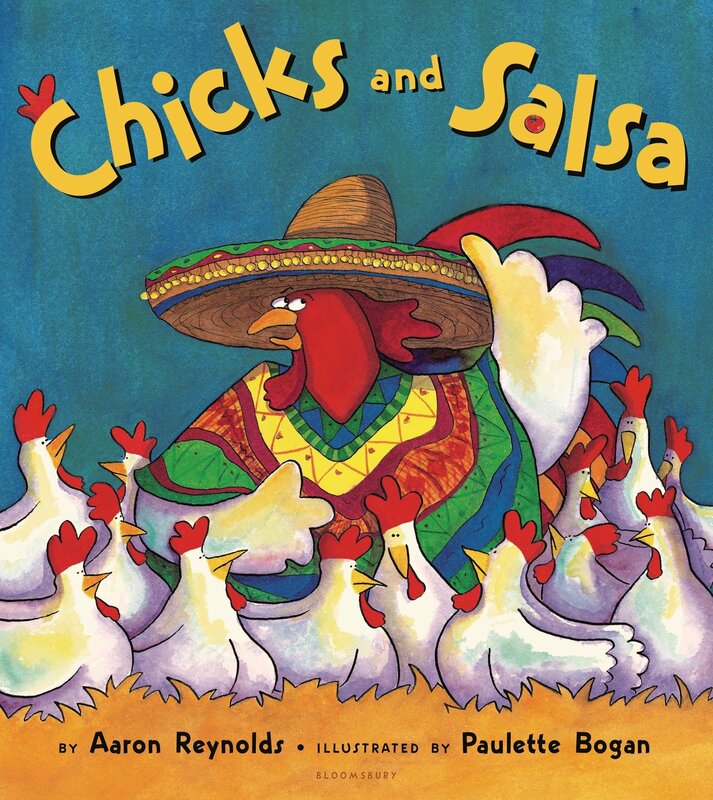 Our second book was Chicks and Salsa by Aaron Reynolds. This is a cute book about barnyard animals who get tired of eating their feed and want to have a fiesta instead. It’s silly, and it teaches about foods from different cultures. Then, it was time to sing “Apples and Bananas” by Raffi. “I like to eat, eat, eat apples and bananas. Then, we did the “Popcorn” action rhyme. Oats and beans and barley grow, Oats and beans and barley grow. Then he stands and takes his ease. Next, we did The Hungry Little Caterpillar flannel that the youth facilitator before me made and left. “‘C’ is for cookie, that’s good enough for me. ‘C’ is for cookie, that’s good enough for me. 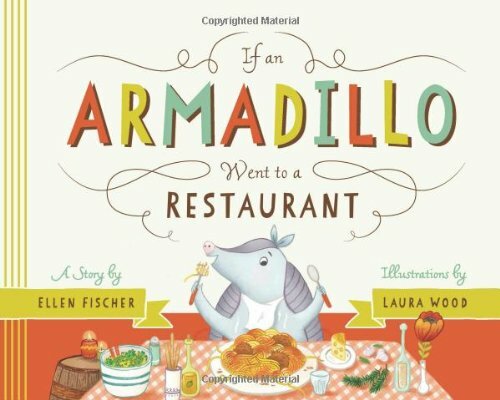 Our last book was If An Armadillo Went to a Restaurant by Ellen Fischer. This is an adorable book that teaches what each animal eats. 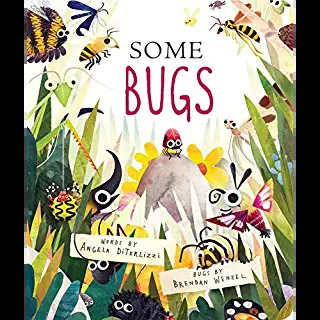 The kids liked how silly it was when it talked about them ordering odd things that we eat and when it flipped that idea around and had the reader ordering bugs instead of pancakes at the end. Then, we sang the “Vegetable Song” from Preschool Education. Then, we sang our “Goodbye, Goodbye” song, and that was it. We didn’t make a craft this week. I just gave out goodie bags with pretzels and other little snacks. Then, I recited the “Who I Want to Be” poem from Timeless Teacher Stuff. Since it was along the same lines as the first poem and got the kids involved with some actions, I then recited “In My Mirror” from Preschool Pioneer. Two little eyes that look at me. Ten little fingers, ten little toes. One little mouth I open wide. Two little rows of teeth inside. Lots of joints that bend about. 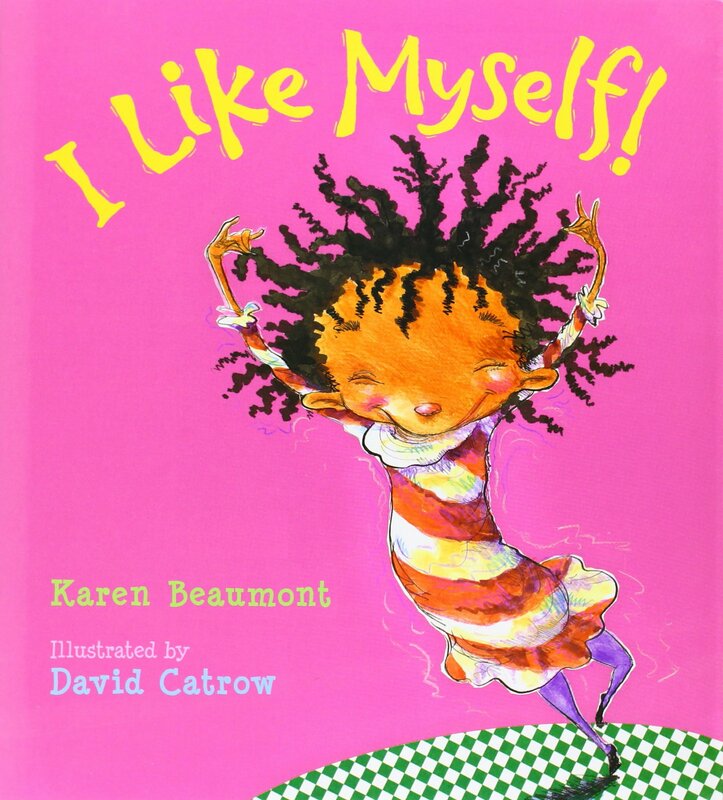 This is a cute little book about liking yourself no matter how you look or how your appearance might change, that it doesn’t change what’s inside of you. The kids liked it because it was silly with purple polka-dotted lips, crazy hair, pig snouts, and all sorts of other things that happen the little girl, but the adults liked it because of the message. After that, we did the “Dance Your Fingers Up” fingerplay from KCLS. “Dance your fingers up, dance your fingers down. Dance them to the side, dance them all around. Dance them on your shoulders, dance them on your head. 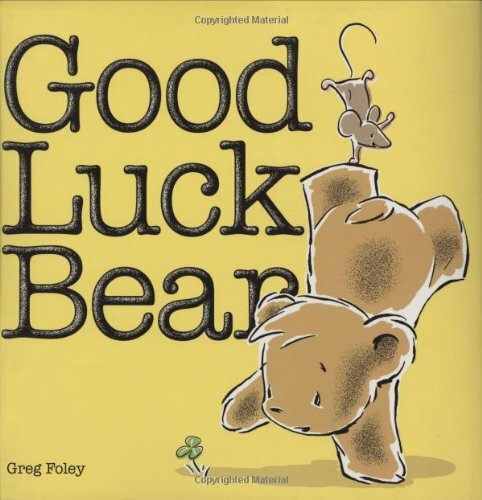 This is a cute rhyming book, but you might want to cut it down like I did for my story times. We sang “Special Me” from Preschool Education as we settled back down. How I wonder what I’ll be. Anything I want to be. Then, we did the Me and My Body flannel that I made. 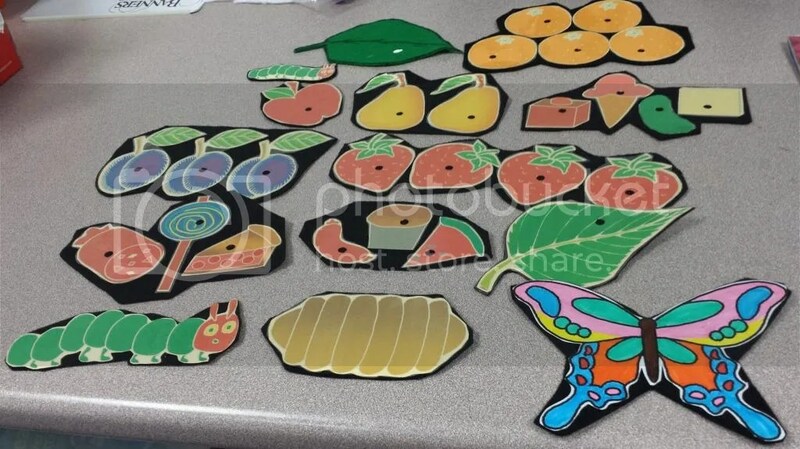 The idea was originally from a site with a bunch of STEM ideas–the ALSC Blog. First, we did the regular body flannel and used flannel flashcards to learn about the parts of the body (i.e. hair, eyes, nose, etc.). 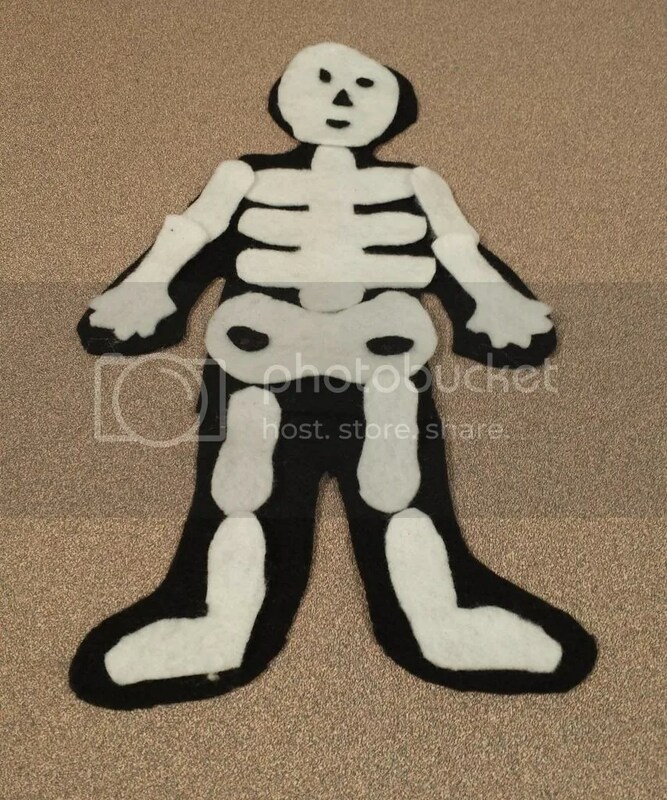 Then, we did the bones on the black flannel body and discussed what bones are and why we have them. Finally, we did the organs flannel and discussed briefly what each organ does. My walk-in kids got to do body stations for some of the organs we’d just learned about then. I have a stomach station (like ALSC recommends) with reinforced Ziploc bags to mush food in to demonstrate digestion. Then, we had paper bags to inflate to demonstrate the respiratory system. We also had paper towel tubes so they could listen to each others’ hearts for the circulatory system. Then, we sang “Skidamarink” and our “Goodbye, Goodbye” song, and that was the end. We didn’t do a craft this week because our body stations took up all our time. Then, we did the “Monster Hunt” from Perry Public Library. We’re going on a monster hunt. We’re going to find a big one! 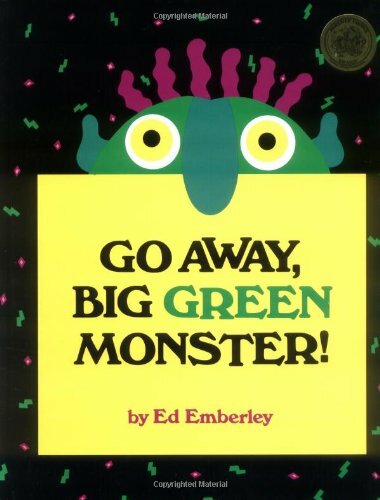 This is a cute book that teaches cause and effect, but the younger kids had a hard time following it. My threes and fours liked it a lot, though, because it was pretty silly. After that, it was time to stand up and do the “Monster Stomp” action rhyme from Perry Public Library. 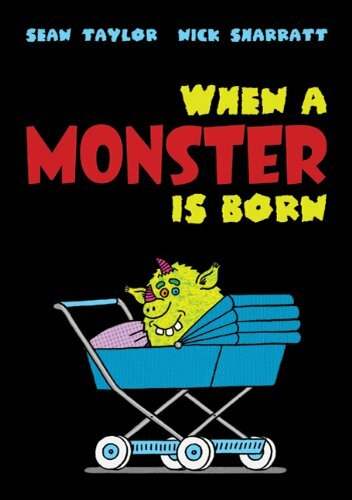 ‘Cause everybody’s doing the monster dance. Then, since we were standing, we did “Monsters Galore” from KCLS. 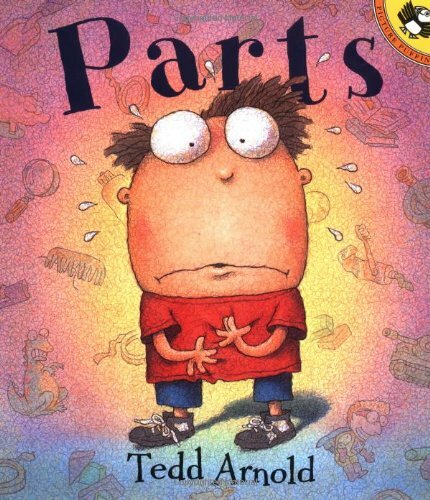 This was a cute book that all my classes loved. I thought it was pretty cute, but I was worried it might scare the younger kids. They were braver than I thought, though. “Five little monsters jumping on the bed. 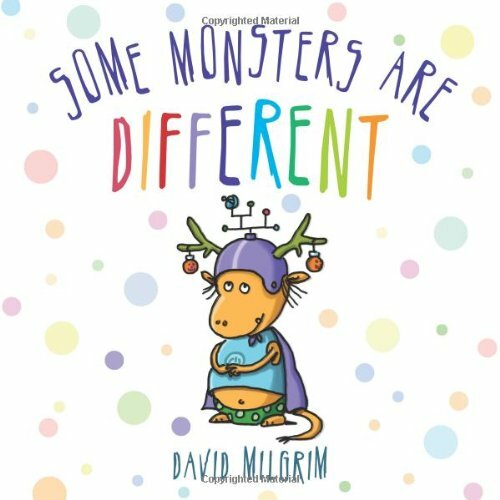 This is a cute book about being yourself and being proud to be different. It’s short, sweet, and to the point. The kids liked the part about eating different things and freaked out over the bugs on the plate! Then, we did the “Monster Pokey” from Library Sparks. You put your claws in, and you shake them all about. You do the monster pokey, and you turn yourself around. After that, we sang our “Goodbye, Goodbye” song, and that was the end. 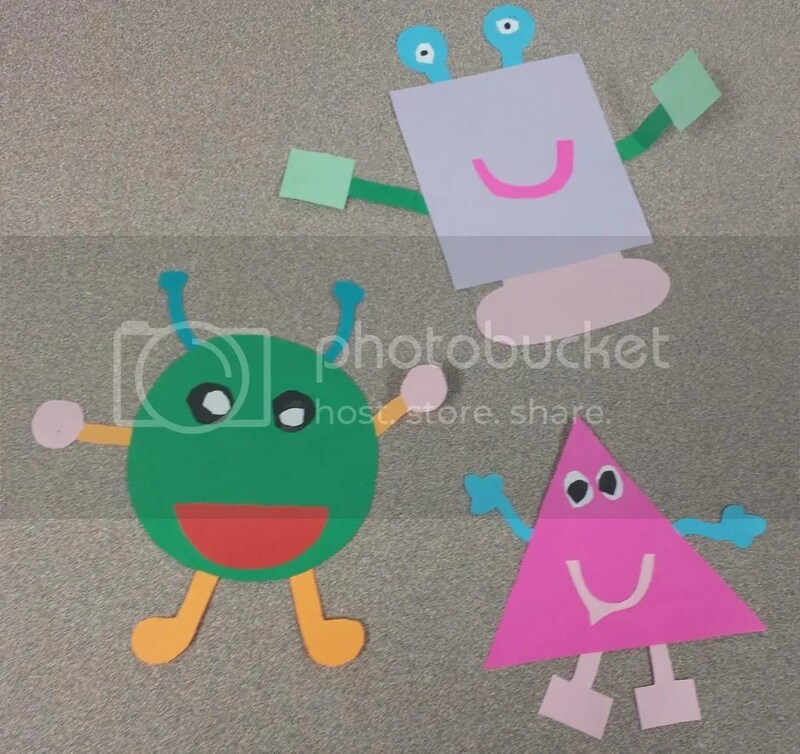 For our craft, we made shape monsters from All Kids Network so we could learn about our shapes and make some wacky creations. 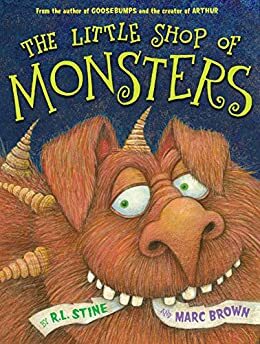 NOTE: I did this storytime for a second time at my new branch and used Bump in the Night by Edward Hemmingway, The Little Shop of Monsters by R.L. 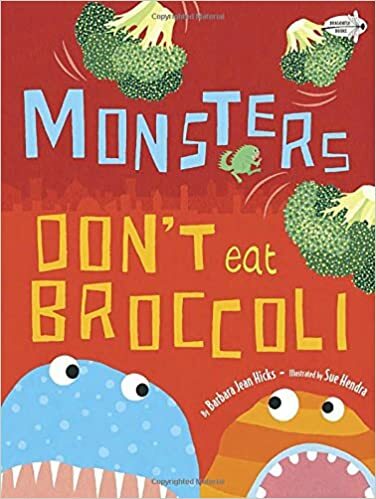 Stine and Marc Brown, and Monsters Don’t Eat Broccoli by Barbara Jean Hicks. 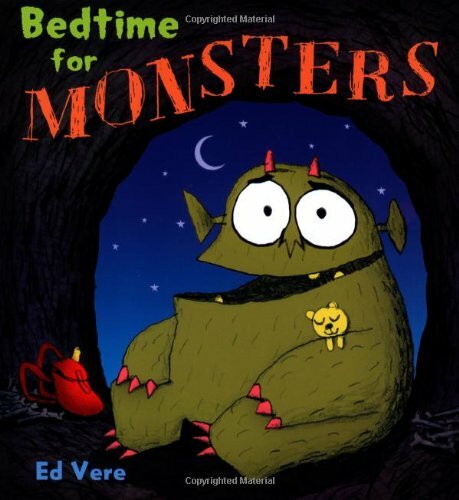 These all went over very well with the kids, especially The Little Shop of Monsters! 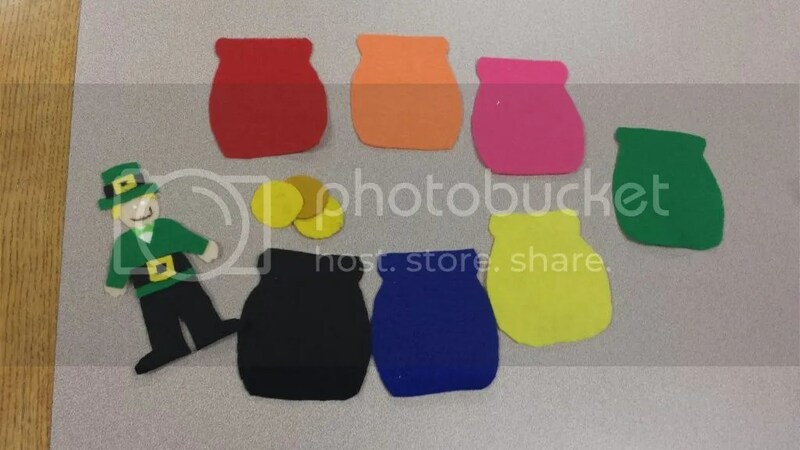 We also made very recognizable monsters for our craft–Cookie Monster and Elmo! This week, I introduced our theme, and we sang our opening song — “If You Want to Hear a Story.” Before we started reading our books, though, we did the “Heart” fingerplay from The Perpetual Preschool. This one is long. I didn’t find a good way to cut it don either because each thing builds off of the one before, but all my classes (except the 2 year olds because I didn’t include this book for them) had no trouble sitting through the entire story because it’s pretty cute, engaging, and funny. 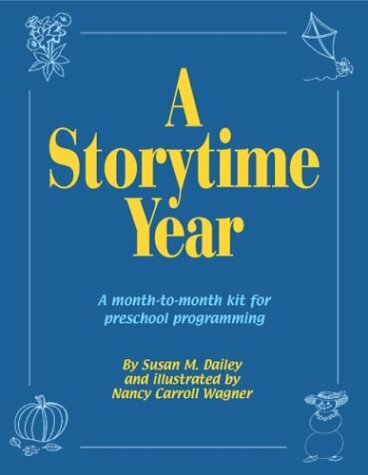 After that, we did a “Matching Heart Flannel” from A Storytime Year: A Month-to-Month Kit for Preschool Programming by Susan M. Dailey. For smaller groups, you can pass out half of your hearts and say, “Oh, no! It’s a broken heart! Here is half. Who has the other part?” For larger groups, I just put each half on the board and had them match the pieces together. 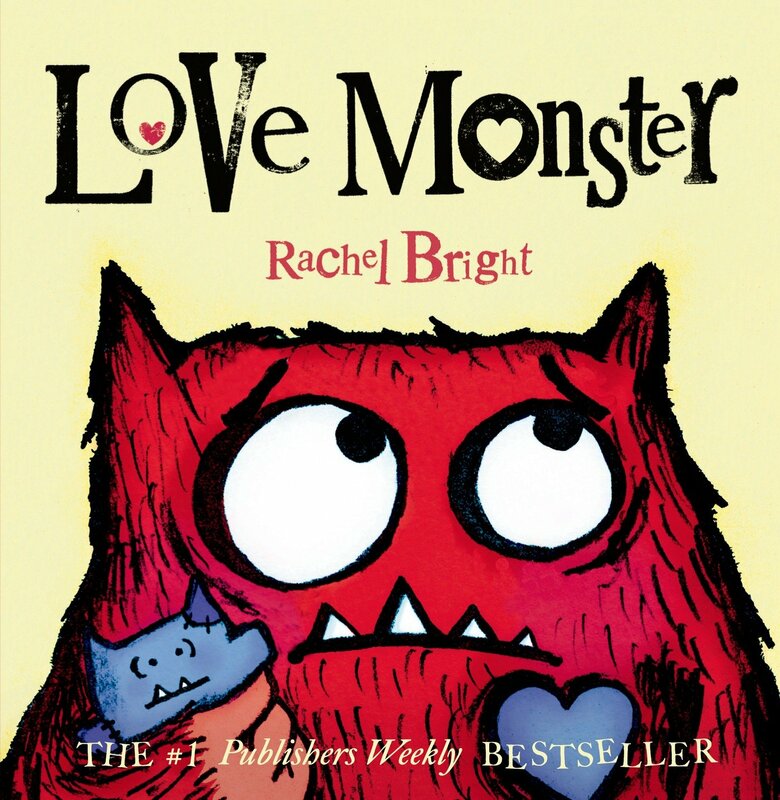 This is a cute and short book about a monster who doesn’t think he’ll ever find love. It was one of my favorite books this week. After that, it was time to stand up for the “Little Heart” action rhyme from KCLS. We also did the “I Can Hug” action rhyme from SurLaLune Storytime. “I can hug, hug, hug. I can hop, hop, hop. I can kiss, kiss, kiss. I can stop, stop, stop. I can nod my head for yes. This book was kind of take or leave it. I included it mainly for my two year olds who didn’t get the first book above. It had a few cute moments, but it’s not really a story book, so it’s not particularly engaging for older groups. 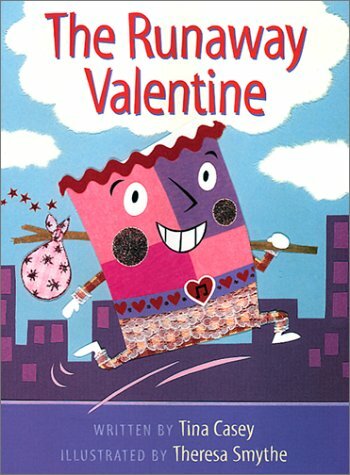 Then, we sang the “Pink Valentines” song from A Storytime Year: A Month-to-Month Kit for Preschool Programming by Susan M. Dailey. 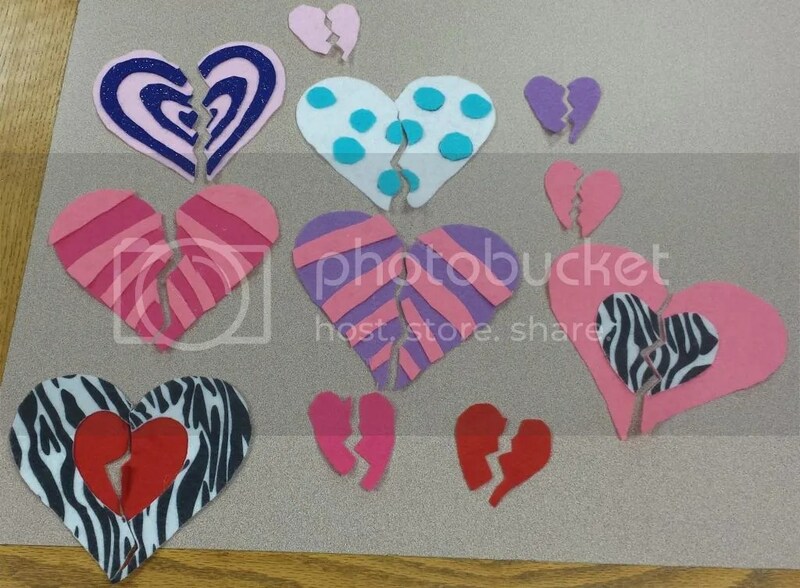 I made a variety of pink, white, and red hearts out of construction paper and cardstock to hand out to the kids. Then, I went over the colors with my younger kids first before singing the song. Hold it high, up to the sky. Now put it down upon your shoe. Then on your head, and your knee too. Listen to me and do what I do. 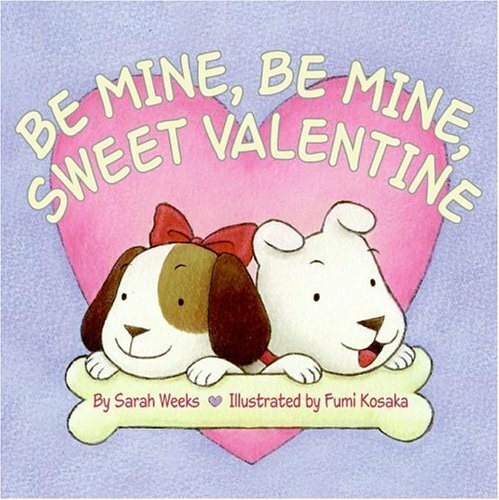 Be Mine, Be Mine, Sweet Valentine by Sarah Weeks. All my classes enjoyed guessing what each animal got their valentine as a gift, even if some were not very obvious and difficult to guess (like the otter). It was a fun little guessing game for them. Then, we sang “Skidamarink” and our “Goodbye, Goodbye” song, and that was all. This week for my walk-in story time, we made portable hugs to give as gifts to relatives we don’t get to see (and give real hugs to) often. 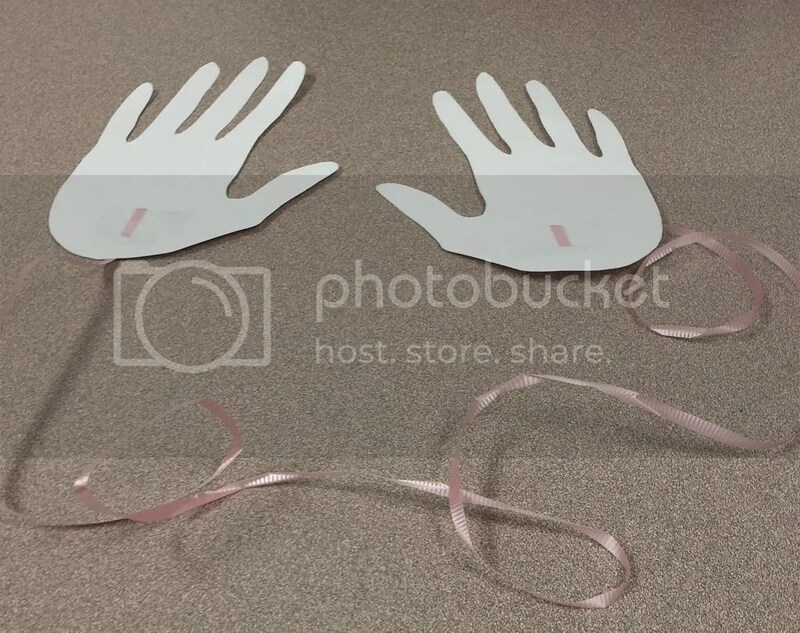 All you have to do is have the kids trace each of their hands on cardstock, cut them out, and attach a ribbon to the bottom of each hand so they can be wrapped around a person.